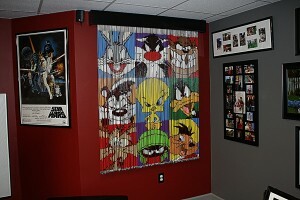 Presenting the Looney Toons Wall! 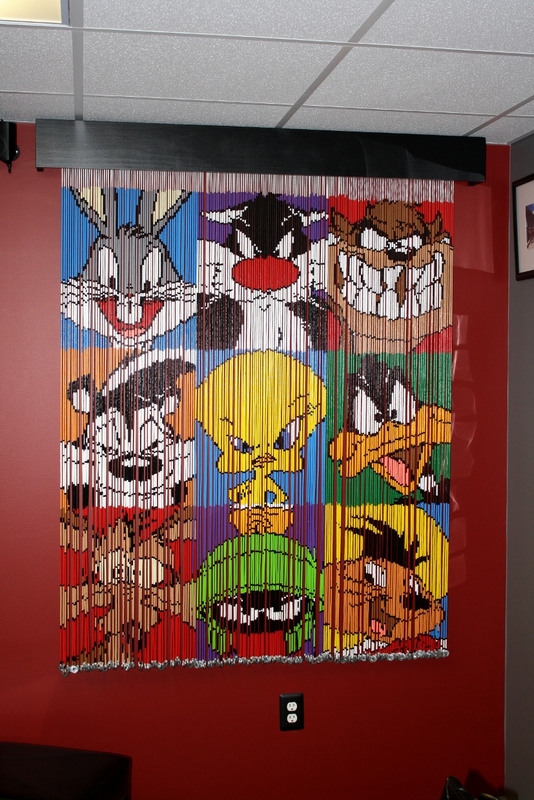 The Looney Toon Wall, or as it is known in the house “The Bead Project”, is made of 57,024 Perler beads that have been strung together. 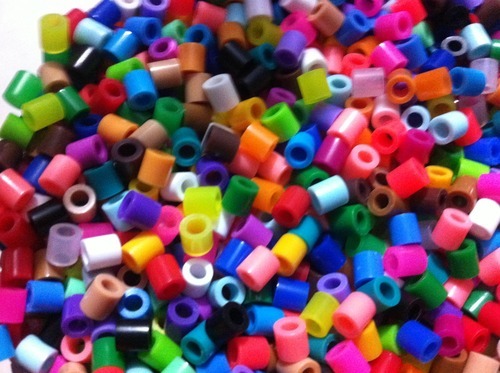 Perler beads are little plastic beads that you are supposed to place on pegboards and then fuse together with an iron. They are inexpensive and come in a large variety of colors which is what made them attractive for creating a mosaic. 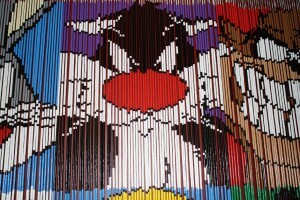 Each of the 9 characters is comprised of 6336 beads (66 X 96) so the project is made up of 198 strings each with 288 beads. 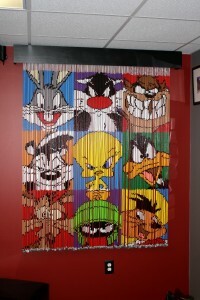 Each string has a small washer on the end to keep them weighted down and it allows the strings to move around. Overall the piece is 50″ wide and 76″ tall. The process for creating the script for this project was much like the process used to create the Lego mosaics: find a pic, reduce the resolution and color palette to match the medium and then create a script. The script was basically string 1 : 2 blacks, 14 reds, 1 white, 1 black …. etc. etc. 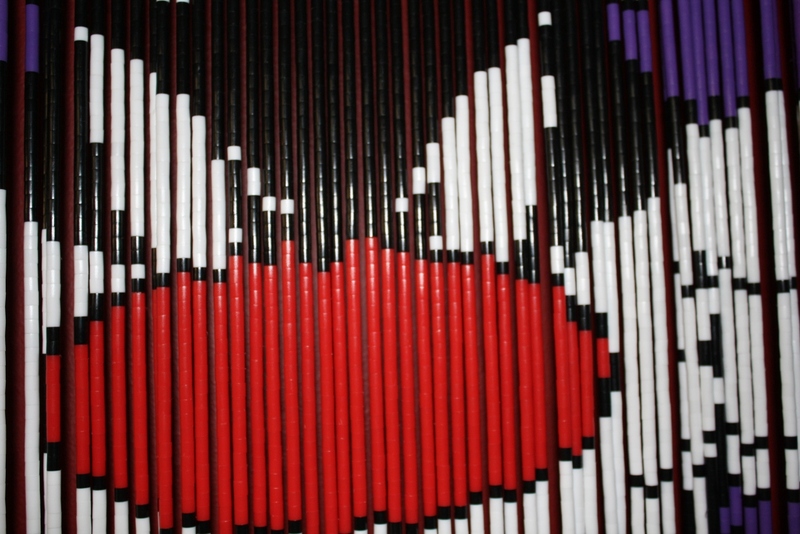 This project took a long time mainly due to the fact that after working on it for while it was thrown into the corner and ignored for months at a time. It was mind-numbing and detailed. 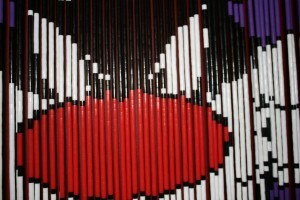 The bad thing was though, after getting a third of the way through it you felt committed and had to complete it. 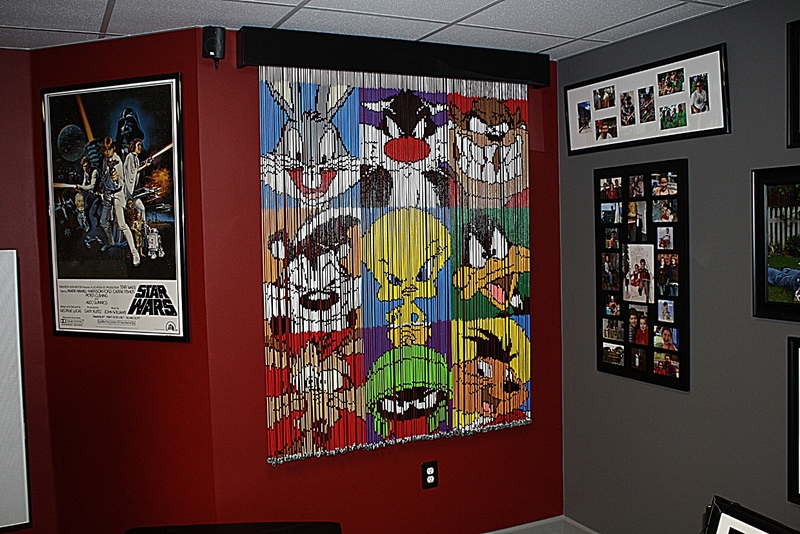 Don’t get me wrong the end result is awesome, but there will never be another strung bead project done in this house. This page is here to brag, document and serve as the final step in the healing process that our family therapist recommended as the best way to close the door on this project.